Troubleshooting over text message or voice chat can be frustrating, and you might not be able to easily reconvene. Instead of letting the questions and problems pile up, why not use Quick Assist? This all happens over an internet connection, meaning you can be cities or even countries apart and still be able to use Quick Assist. 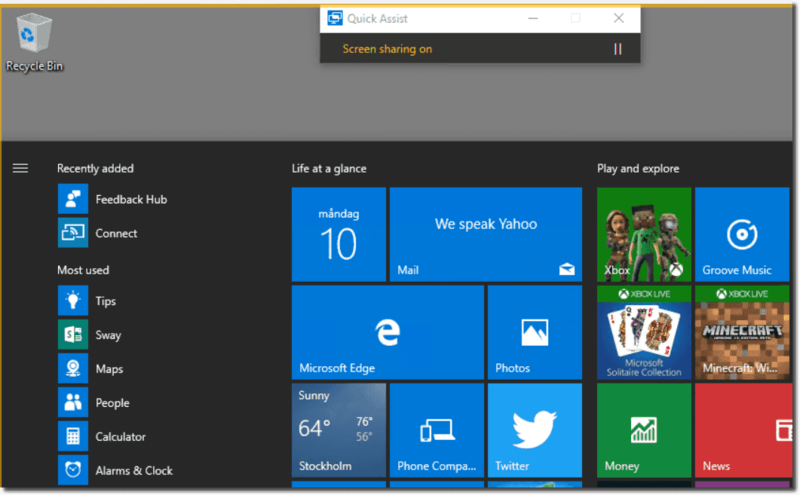 As of now, Quick Assist only works between two PCs that have Windows 10 installed. 1. 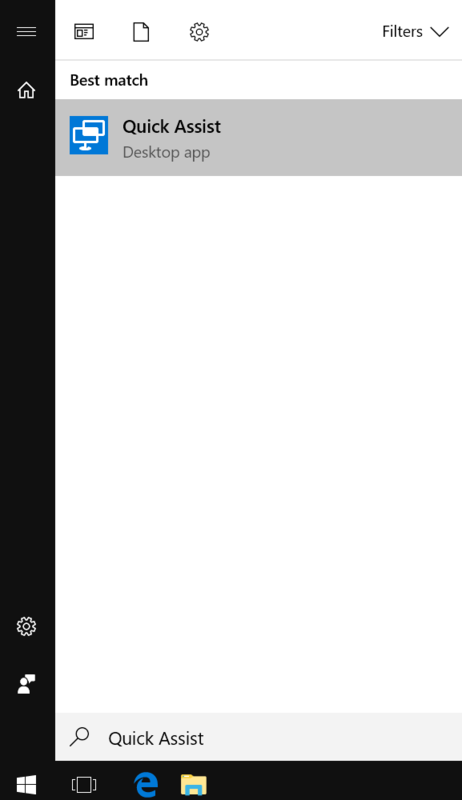 Type Quick Assist into Start Menu search box and hit Enter key on your keyboard. 3. 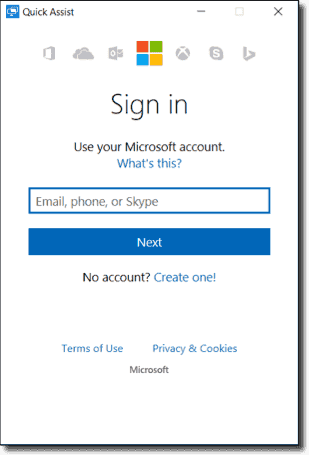 Type your Microsoft account username. 5. 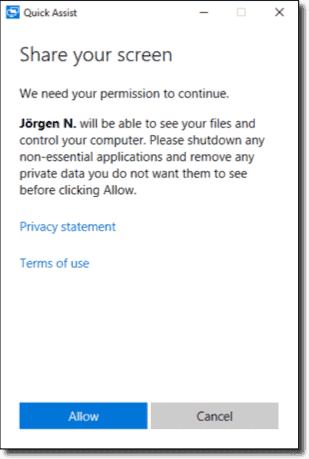 At the next window, type your Microsoft account password. 6. Click Sign in button. 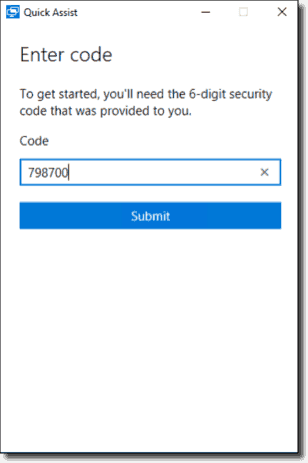 A six-digit code will now appear. 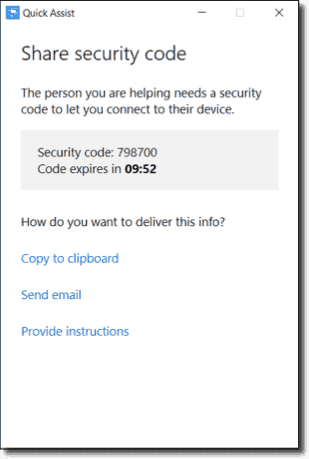 This is to be shared with the person receiving help, and it allows them to grant you access to set up a connection. There are a few built-in ways to share the code, but you can send it any way you'd like. You will then get a code that is valid for 10 minutes. 7. On the computer that will be remotely controlled, we launch Quick Assist and then select Get assistance and enter the code generated above. 8. Then we need to agree to allow the person who created the code to remote control the machine. After allowing remote control to take place, we can now remote control the machine. The person remote controlling the other machine has a nice little menu in the upper right corner with options like Fit Screen, Select Monitor, launch Task Manager, and more. 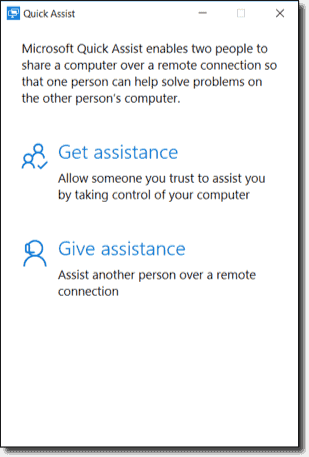 With Quick Assist, you'll be able to eliminate confusing phone calls and frustration on the part of a new PC owner who needs help.